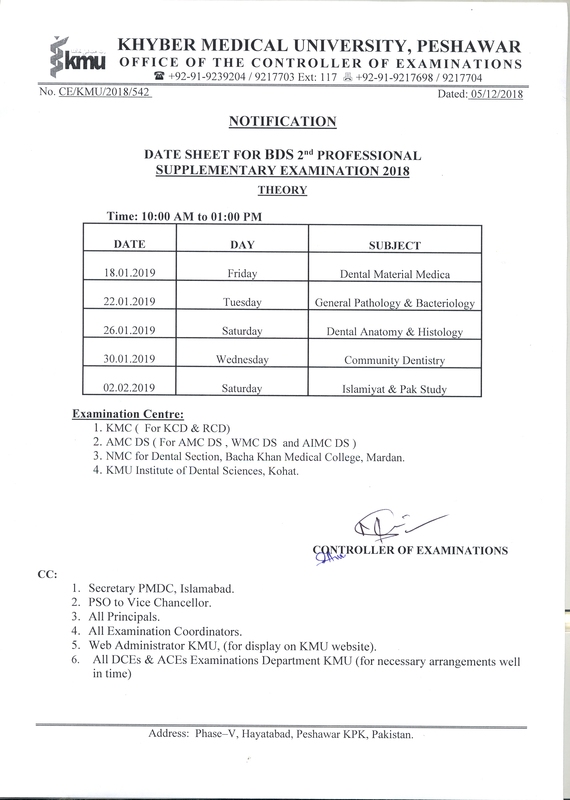 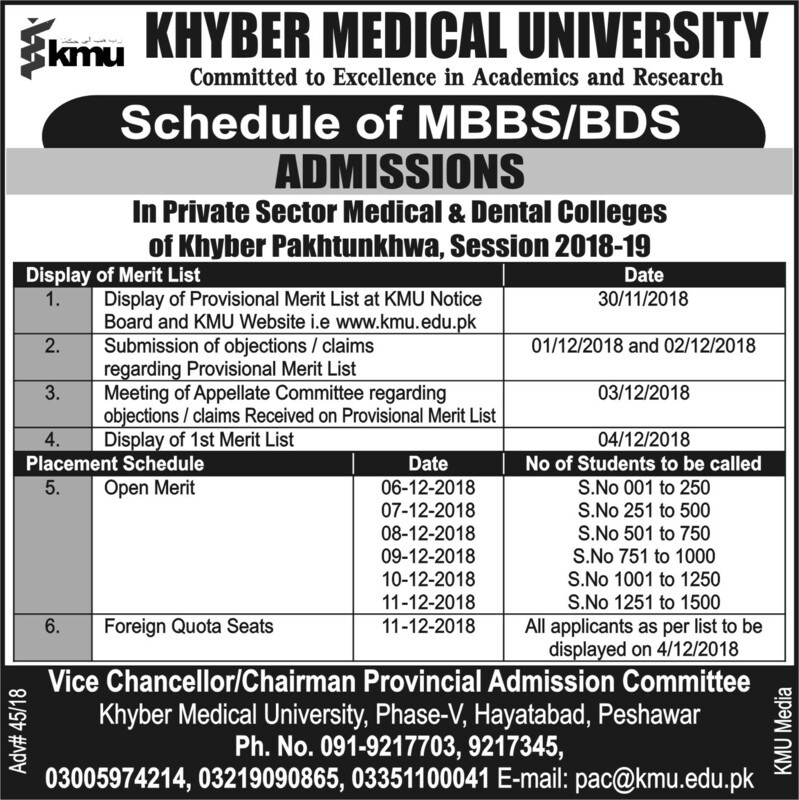 Khyber Medical University (KMU) Peshawar has announced MBBS Final Professional Annual Examinations session 2011 results. 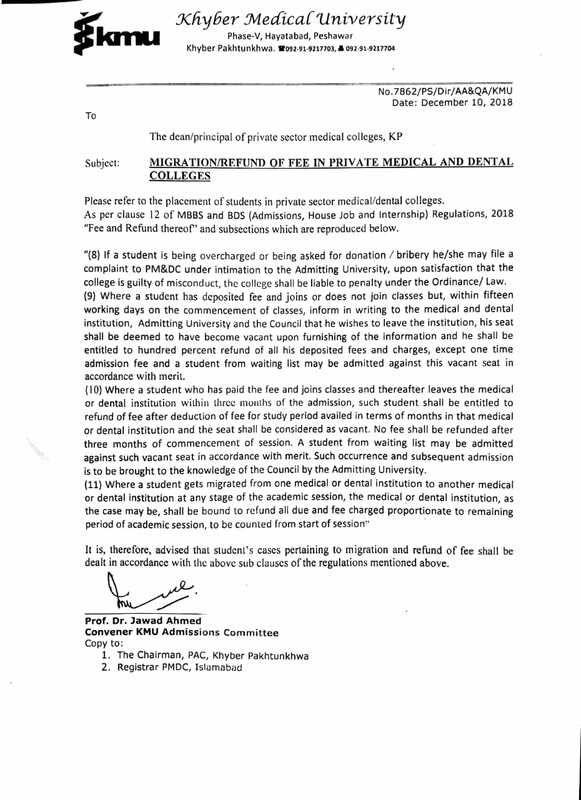 A total strength of 963 students was appeared in the final year professional MBBS examinations in which 680 declared successful. 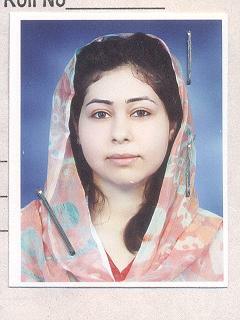 The overall passing percentage was 71%. 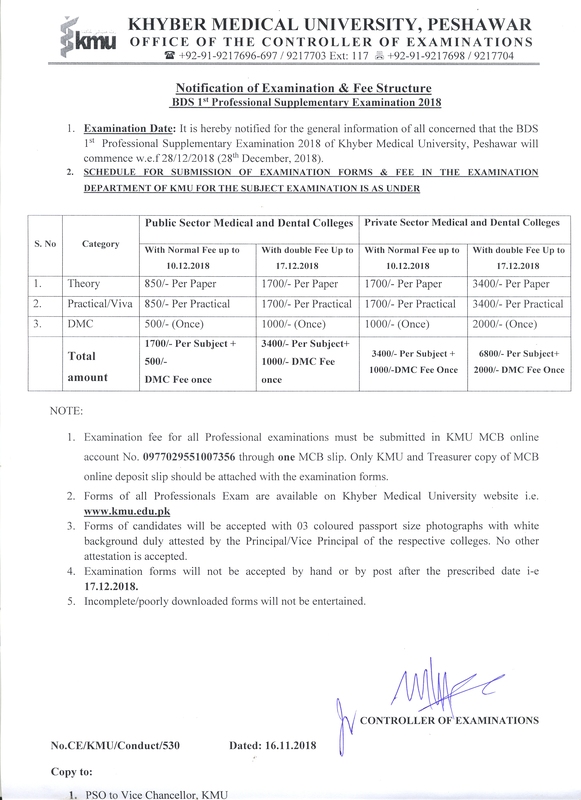 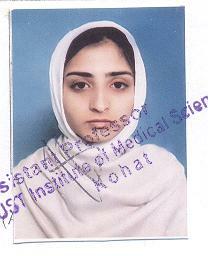 According to the gazette notification issued by examination department of KMU, Khush Bakht of KMU Institute of Medical Science (KIMS), Kohat clinched 1st Position obtaining 1601 marks while Muhammad Hassan Saeed of KMC Peshawar and Mahrukh Ayesha Ali of KMC Peshawar secured 2nd and 3rd positions with obtaining 1581 and 1579 marks out of 2000, respectively. 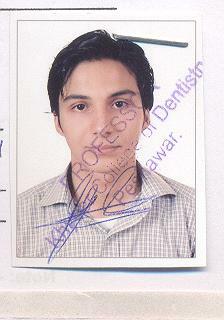 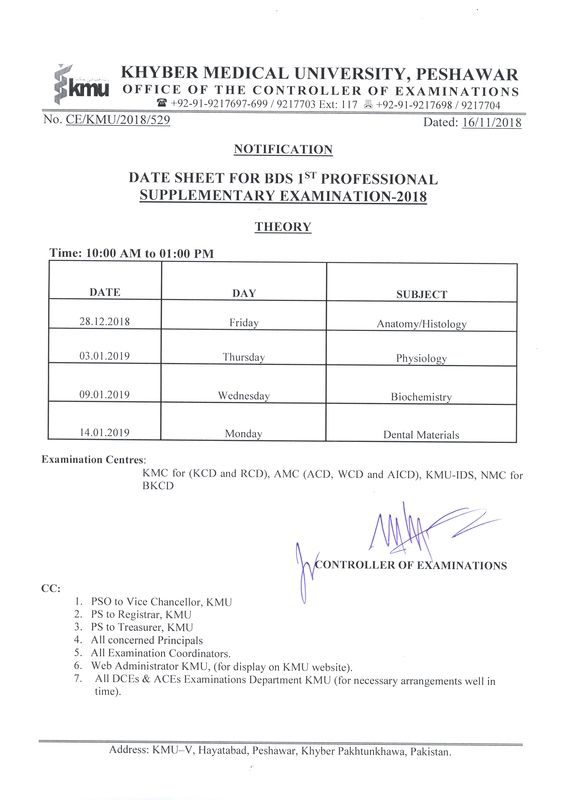 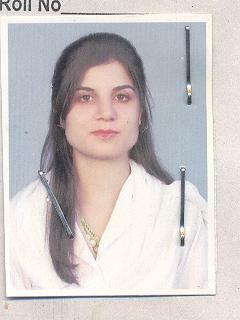 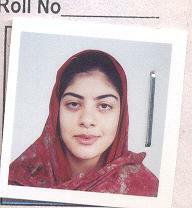 In the said MBBS final professional annual examination 2011. 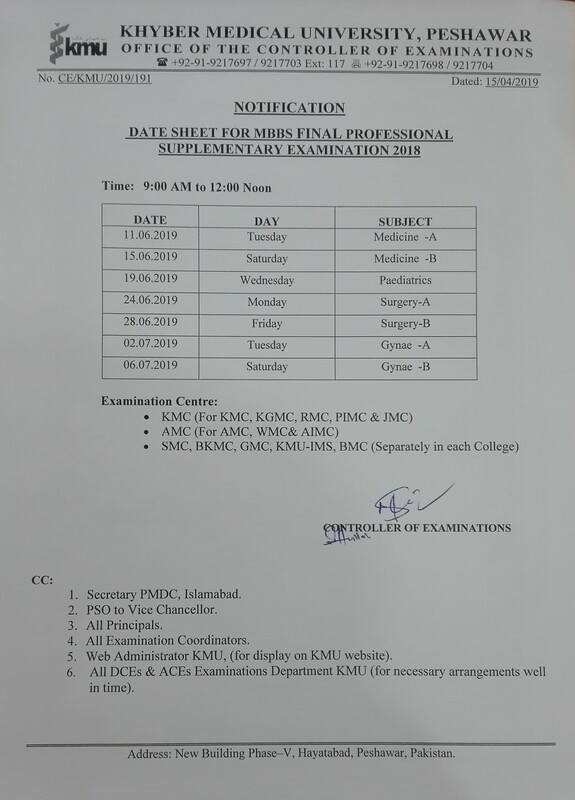 The passing ratio of KMC was 86%, while the passing percentage of Ayub Medical College, Abbotabad was 70%, Gomal Medical College D.I.Khan 92%, Khyber Girls Medical College, Peshawar 61%, Saidu Medical College, Swat 84%, KMU Institute of Medical Science Kohat 82%, Bannu Medical College, Bannu 93%, Women Medial College, Abbotabad 32% whereas the passing ratio of Abbotabad International Medical College, Abbotabd was 33%. 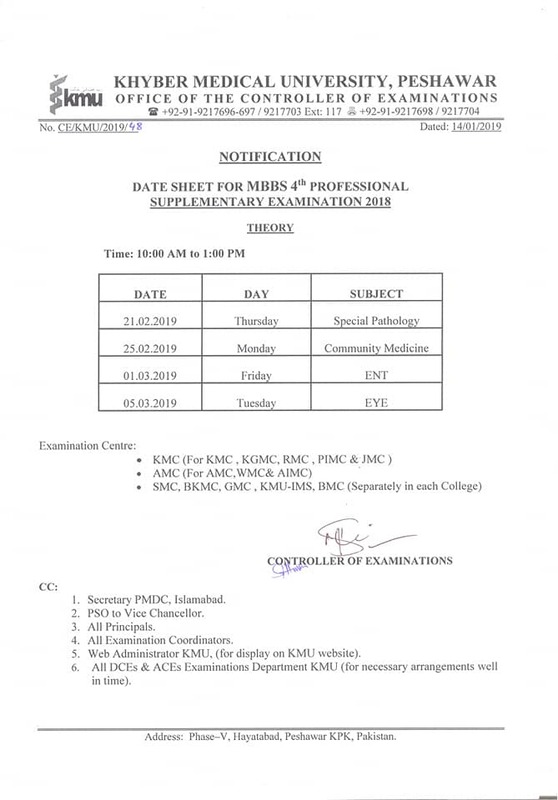 Vice Chancellor KMU Prof. Dr. Mohammad Hafizullah has congratulated the successful students specially the position holders and said that the young graduates of Medicine and Surgery are our pride and we hoped that they will keep a few candles burning and they will improve their professional and communications skills through hard work in the upcoming days.